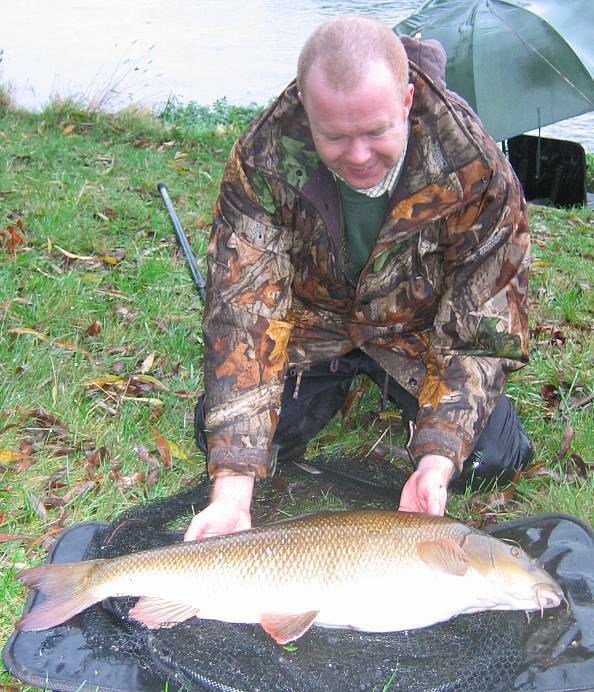 This article was first published in issue 22 of the Barbel Society’s magazine “The Barbel Fisher”, Autumn 2006. The Royalty – a fishery steeped in a century or more of angling history. Not just barbel either, it has produced specimen-sized fish of many species of coarse fish as well as being a noted salmon fishery. Although today its specimens are no longer record-breakers on a national scale, it’s still regarded by many anglers as the Mecca of barbel fishing, a place of pilgrimage to pay homage to the angling gods. I remember reading about the fishery as a youngster in the late sixties/early seventies. There were names from the past such as Tryon and Wallis with their record-breaking fourteen-pounders. Then there were the exploits of those who were fishing it at the time, like Walker, the Taylors, Wheat and Stone. Monster fish and famous anglers combined to make a legendary venue. It was a time when it was the swims rather than the fish that had famous names – the Parlour, the Great Weir, the Pipes, the Railway Pool and the Telegraphs to name but a few, each one with a story to tell. I first fished the Avon at Ringwood a couple of times in the early seventies. I didn’t catch any barbel, but as a result of those visits and all I’d read about the river, the seeds were sown for a budding barbel angler. It was to be many years before I caught my first Avon barbel, also at Ringwood, during a weeks’ holiday with my pal Graham in 1987. Although it was only a small fish, I regard it as one of the more memorable moments in my angling career. 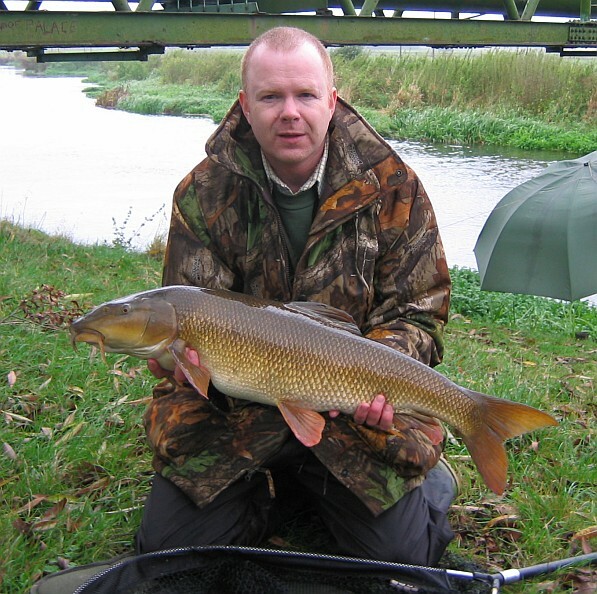 Graham also had his first Avon barbel that week. A holiday on the Avon became an annual event for several years after that, but it was not until 1991 that we first visited the hallowed banks of the Royalty. Graham had a barbel straight away from the Pipes, while I succeeded only in losing one from Greenbanks when the hook pulled out. The following season’s visit saw me land what was – and still is – my biggest ever chub. Later that day, I lost another barbel, this time in a snag. I was beginning to think that the barbel here had something against me. That feeling was only strengthened over the coming years. 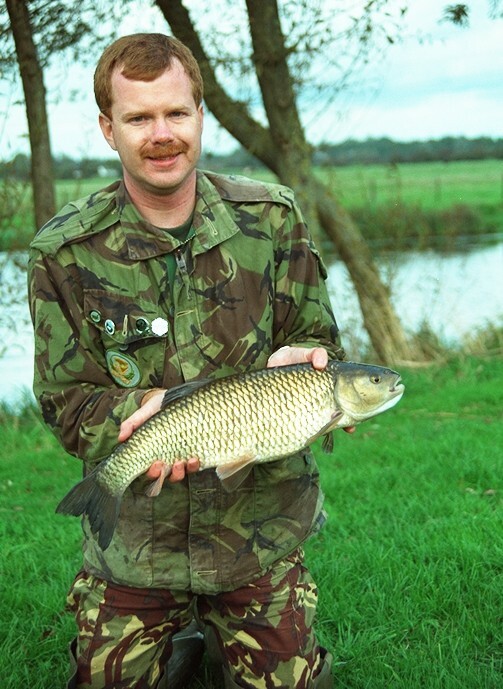 Most seasons through the nineties, Graham and I managed to have a trip to the venue, but its barbel continued to elude me. I tried a variety of methods from roving the entire fishery Walton-style to static fishing, big baits to particles and so on, all to no avail. Meanwhile, Graham added more barbel to his tally, with one notable day producing three nice fish to eight pounds from the weir pool. Of course I congratulated him, albeit through gritted teeth. 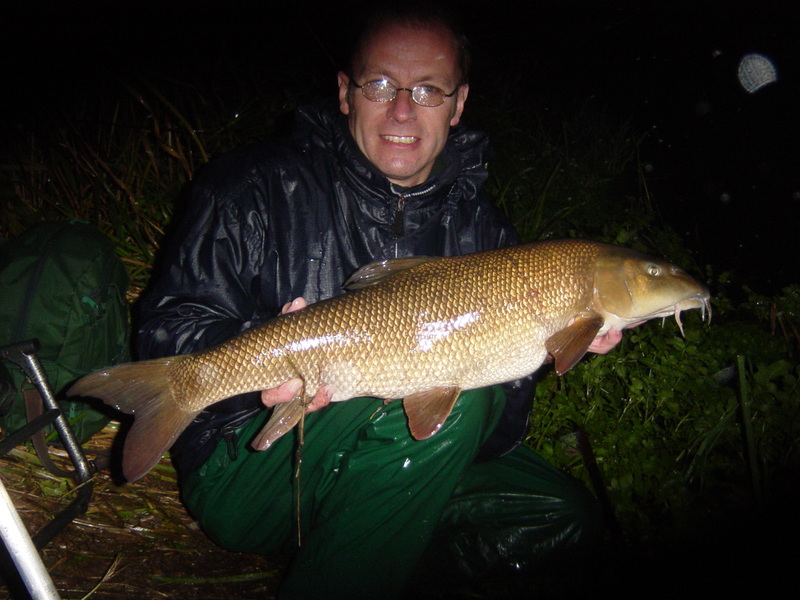 For a few seasons we didn’t manage to get down there, but catching a Royalty barbel remained a dream of mine. Then another fishing pal of mine – Andy – expressed a desire to have a crack at it one day. We managed to arrange a day at the back-end of October when we could both make it. Andy said the forecast was for light rain, which turned out to be somewhat of an understatement. Andy’s 13-year-old son Scott also joined us for the day. He is already a very competent young angler, with a best barbel of 10.13 to his credit. The timing for our trip couldn’t really have been more perfect. The country’s rivers had been suffering from a lack of rainfall for several months and had been running low and clear, with the fish reluctant to show in any numbers. That had all changed in the days leading up to our visit, with low pressure systems bringing much needed rain, accompanied by temperatures that were well above average for the time of year. The refreshed fishery had sparked into life and several large fish had come out over the previous couple of days, topped by Martyn Pears’ magnificent new fishery record of 16.05. We arrived at about 9 o’clock, expecting it to be quite busy, but to our surprise there were only about six cars in the car park. Most of the anglers had located themselves downstream of the Railway, leaving us free to choose any spot from upstream of the bridge to Watersmeet. Andy and Scott dropped in at the Railway, while after some deliberation, I decided the Pipes swim would be a good place to start. The weather was decidedly inclement, with a strong south-westerly wind blowing and low, heavy cloud scudding across the skies, bringing what at first were moderate showers, while the forecast was telling us to expect some heavy rain. Ideal for encouraging the fish to feed, but somewhat uncomfortable for the angler. Having pegged the brolly firmly in place, I made up two rods. This is unusual for me, as I normally only fish one rod. My lack of confidence on the venue meant that I felt I needed to increase my chances by fishing two different baits. One rod was fishing a ready-made boilie, while the other was baited with Salips pellets purchased especially for this trip from Barbel Fishing World. The increased flow in the river created a slight problem because bits of weed were being washed down river below the surface, continually fouling the line. Although I fished both rods quite close in, every cast came back with clumps of ranunculus and other assorted vegetation attached to the line. Not long after I’d first cast out, I heard a big fish jump upstream of me, but didn’t see what it was. A little while later it jumped again, and this time I did see it. It was a nice salmon, well into double figures. It was the first adult salmon I’d ever seen on the Avon, although on those earlier visits in the 1970’s it wasn’t difficult to catch salmon parr on maggots. In between the salmon’s appearances, I’d had a knock on the pellet rod. It was only a tap, but very definitely caused by a fish. Something was interested, but there were no more indications for a couple of hours. Just before midday, the pellet rod suddenly hooped round. I lifted into the fish, and was met with a very solid resistance. For a second, I wasn’t sure whether I’d hooked a fish or a snag, but was soon left in no doubt, as the fish began to swim irresistibly out into mid-river, thumping the rod top as it went. “Yes! I’m into a barbel, now don’t do anything daft and lose it.” I thought to myself. The fish only went on a couple of runs that took any line, but it simply refused to come off the bottom. Every attempt to lift it saw it lurch back down again. All the while the line was collecting more weed. It was obviously a good fish that I’d hooked and although I was confident in my 10 lb line, all that weed was making me nervous. Eventually, the fish started to tire, and was gradually brought up to the surface. Following a couple more anxious moments, I managed to slide it into the net. Leaving the net in the water, I phoned Andy on his mobile. Fortunately he’d got it switched on, and he and Scott were soon along to witness the fish. Lifting it out onto the mat, we realised that this was a big fish indeed. “New PB?” queried Andy. The scales settled just two ounces short of that target, at exactly 13 pounds. Nevertheless, I was naturally delighted with the fish. On the journey down, I’d said I would be happy to catch a three-pounder, so long as I could finally say I’d caught a Royalty barbel. Imagine how I felt now, having smashed my hoodoo with this superb specimen! After another rest in the net, followed by a photo session, the fish was returned to the river. It took quite a while before it regained sufficient strength to release it, but eventually I was pleased to see it swim powerfully back into the depths. At this point I wasn’t too bothered what happened for the rest of the day, other than to hope that Andy and Scott might catch something too. But I was soon to find out that the day was only just beginning. An hour after the first fish, I was just contemplating tucking into some lunch, when the boily rod curved alarmingly towards the water and another good fish was on. As with the first fish, this one also putting up an dogged, if unspectacular, resistance to being pulled away from its gravely home. When eventually the fish came to the net, I knew it was another big ‘un, but because of a large clump of weed that had become wrapped around its head and upper body, I didn’t appreciate just how big it would be. Andy was summoned again, and I lifted the fish out for the first proper look at it. We both looked in amazement as I cleared away the weed to reveal the fish in its full glory. Although it wasn’t especially long, it was deep-bodied and broad-shouldered, a real bull of a fish. This time, Andy didn’t have to ask if it might be a new PB, the only question was by how much. The scales answered that with a reading of 14.09. I was elated. Not only had my PB been smashed, it had been done at the home of legends – and with a fish to beat those legendary records of yesteryear too! As the afternoon wore on, the rain got heavier and more persistent, finally becoming a steady downpour. Andy and Scott had been having problems with snags in the Railway Pool, so in the early afternoon, they moved up to a swim about 50 yards or so downstream of me. Before they shut for the evening, I popped into Davis Tackle to let them know about the fish and download the photos from the cameras. The clock at the car park gate indicated that we had to be off the fishery by seven o’clock. That gave me the chance to get in a last cast or two after leaving the shop. Just as the remaining light had faded into darkness, a large fish rolled close to the bank. “Still one waiting to be caught”, I thought. Shortly after, I made what would be the last cast of the day. Within a minute of the lead settling, the rod went into one of those three-foot twitches that’s guaranteed to set any barbel angler’s pulse racing. Once again, a very big fish was on. The ensuing battle followed a similar pattern to the first two, only this one seemed to go on much longer, developing into a real war of attrition. There was a very worrying moment when the fish became snagged up in weed, but fortunately the old trick of slackening off the line worked and the fish swam free of its own accord. I was back in some degree of control again, but the netting was a very awkward one indeed. Apart from the fact that it was now very dark, there was a lot of vegetation caught up around the lead. That made it extremely difficult to draw the fish over the net, as the weed kept getting caught around the rim, leaving the fish hanging behind it. I think I had about four attempts at the netting before eventually succeeding. Having secured the fish in the net, I ran down to Andy, only to find that he was playing a good fish himself. Once he’d netted the fish, we were then running backwards and forwards along the bank, alternately resting, weighing and photographing each other’s fish. Things got rather chaotic over the following few minutes, as it was dark by now and I’d left my torch at home, it was chucking it down with rain, we needed to get the fish dealt with and returned safely, and then pack up and get off the fishery before it closed. Not to mention the fact that all the excitement and running backwards and forwards had left me somewhat breathless. I’m not as fit as I used to be! 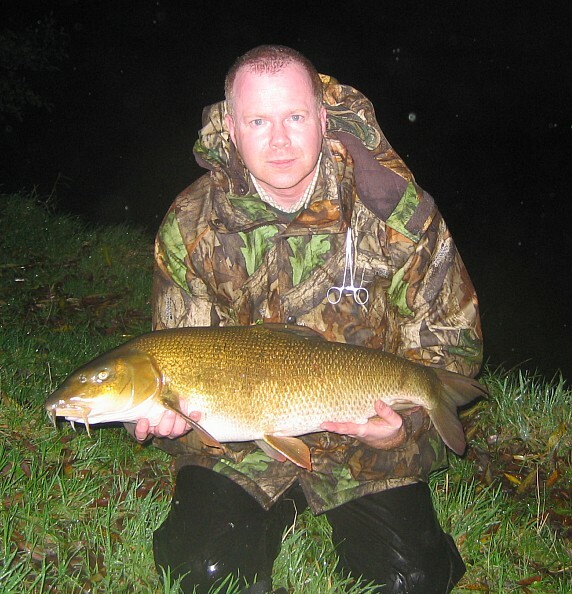 Andy’s fish weighed in at a superb 12.03, coincidentally also opening his Royalty account with his second-best barbel. Mine turned out to be the largest of the day at 14.11, a second PB in one day to complete a superb hat-trick of fish. Luckily, neither fish needed a great deal of recovery time after all the formalities had been done and it was three very soggy anglers that only just made it back to the car park as the bailiff arrived to close the fishery. The following morning, I emailed Davis Tackle to let them know about the two late fish. They replied to say they’d checked their records and found that I’d taken both the best brace and best trio of barbel ever recorded from the Royalty. This really did put the icing on the cake on what had been a truly memorable day, without doubt the most magical day of my angling life.